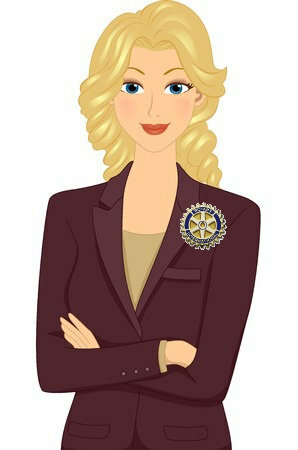 Do you wear your Rotary pin each day? When you wear your pin people you know and work with will see that you are proud to be a Rotarian. They may even ask you about Rotary. You might tell them that Rotary is a group of people who pool their resources and use their talents to serve their communities. That Rotarians' dedication to serve is best expressed in our motto: Service Above Self. Someone might even ask you how to join Rotary, and you could invite them to attend a meeting or join in working on a service project. When people make the connection between your Rotary pin and your ethical behavior they will gain a deep insight into what Rotary is about.